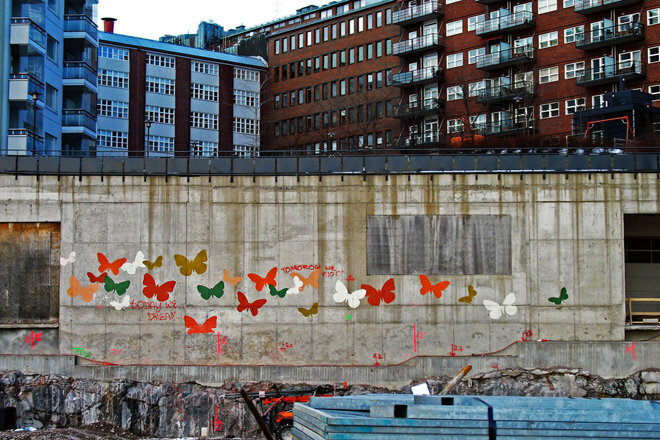 News : Join Kallio Expedition to explore the uses and abuses of public space! Join Kallio Expedition to explore the uses and abuses of public space! Pixelversity outdoor education returns to Helsinki on the third weekend of June (18-19.6.2011), as an expedition/workshop by artist Otto Karvonen and artist-curator Jon Irigoyen. Following their Green Corner intervention during Kallio Kukkii Festival, they continue their focus on Kallio, a neighbourhood that is undergoing a process of change, from a traditional working class neighbourhood into a new centre of creative culture. Join us for the walking tour, picnic and discussion event to conclude the investigation. Sign up with email to jon.irigoyen [-at-] pixelache.ac. Free / without cost, although picnic contribution is welcomed.